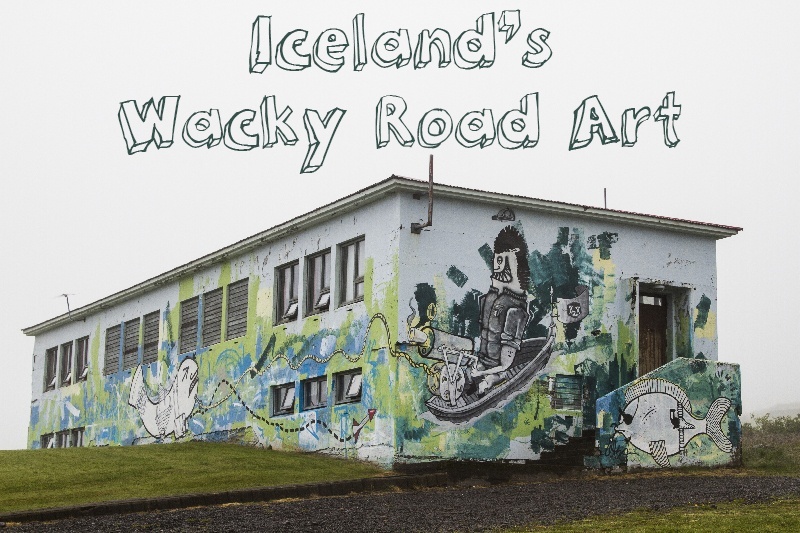 Driving around Iceland we saw so much great street art! 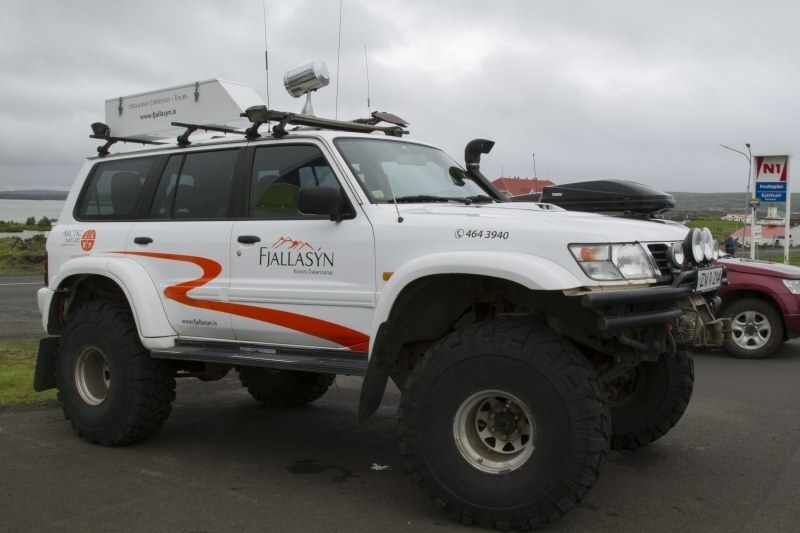 Those Icelanders are true artists. Maybe they have a lot of time on their hands, but even the smallest of villages had plenty of their walls covered, sculptures, and more. 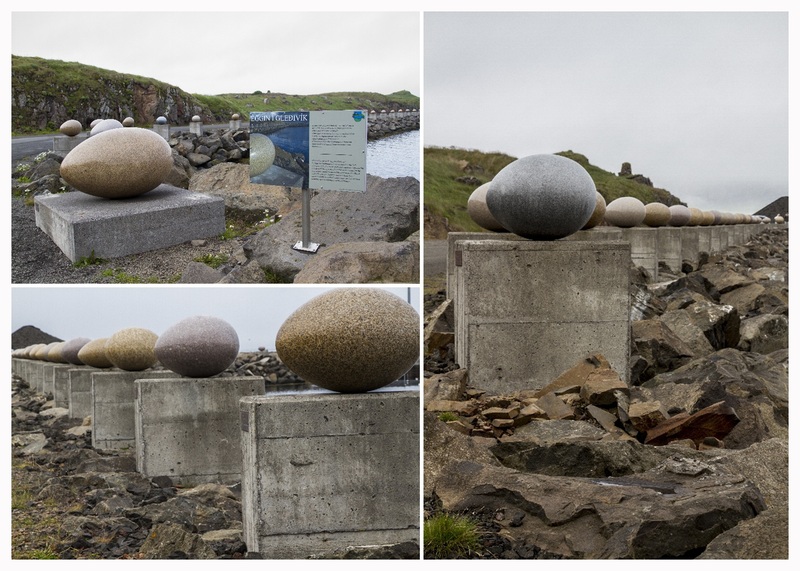 In Djúpivógur, artist Sigurður Guðmundsson has created this series of egg sculptures to represent the local bird species. There are 34 eggs and a plaque tells which bird it represents. I loved the eggs, and it was quite funny to see tour buses drop off their loads a kilometer from the center of town to see them. We saw sculptures everywhere, some like the ones above, were more permanent made from stone and metal, but we also saw wooden sculptures. In one place, we saw straw likenesses of all the people who live in the town. 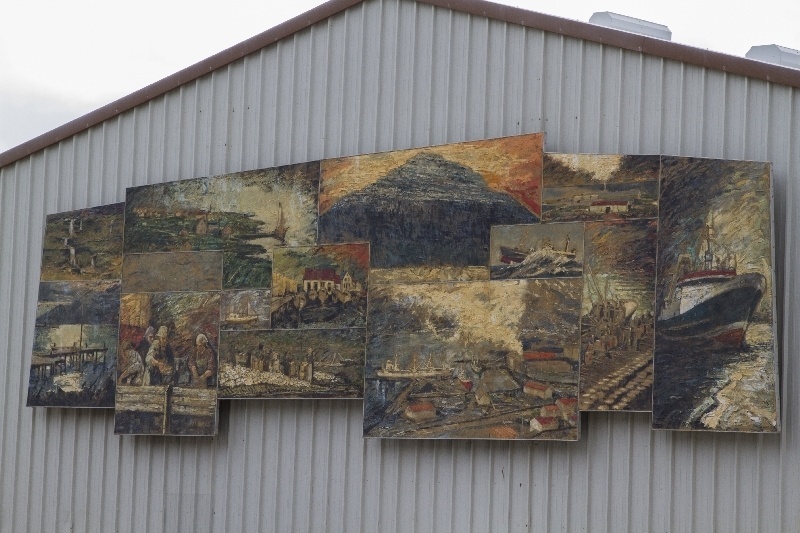 This barn wall, shows how a group of gorgeous paintings. I couldn’t believe they were hung outside. Of course, plenty are just whimsical ways to brighten up a boring old wall. And some were just plain scary. I can’t read runes, but I’m pretty sure this is a curse of some sort. 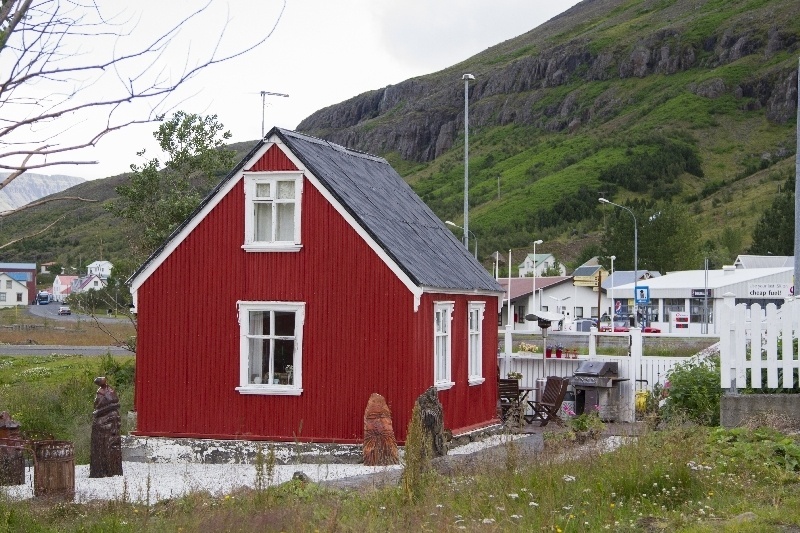 It’s difficult to see, but look at the many wooden sculptures in this yard in Seyðisfjörður . I think this one, with the hunter scaring off the wolf, is my absolute favorite. At first glance you only see the harpooner, but look closer! 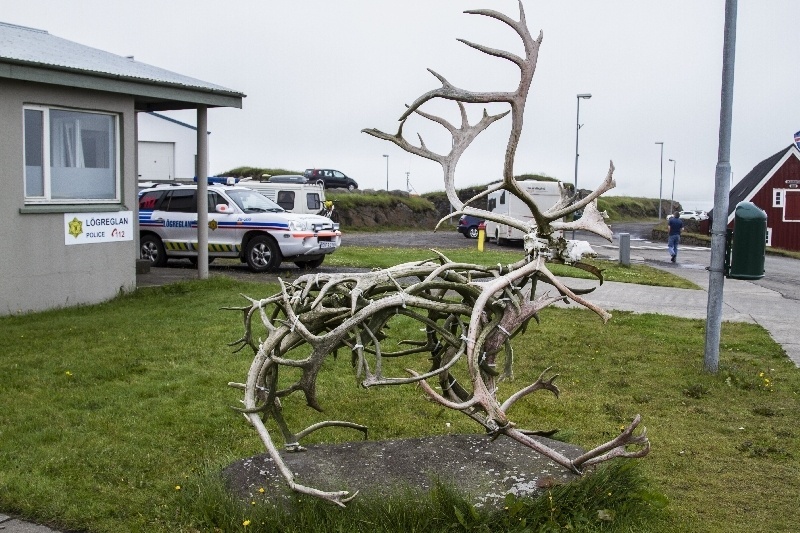 A sculpture of a caribou, made out of caribou antlers right outside of the police station. 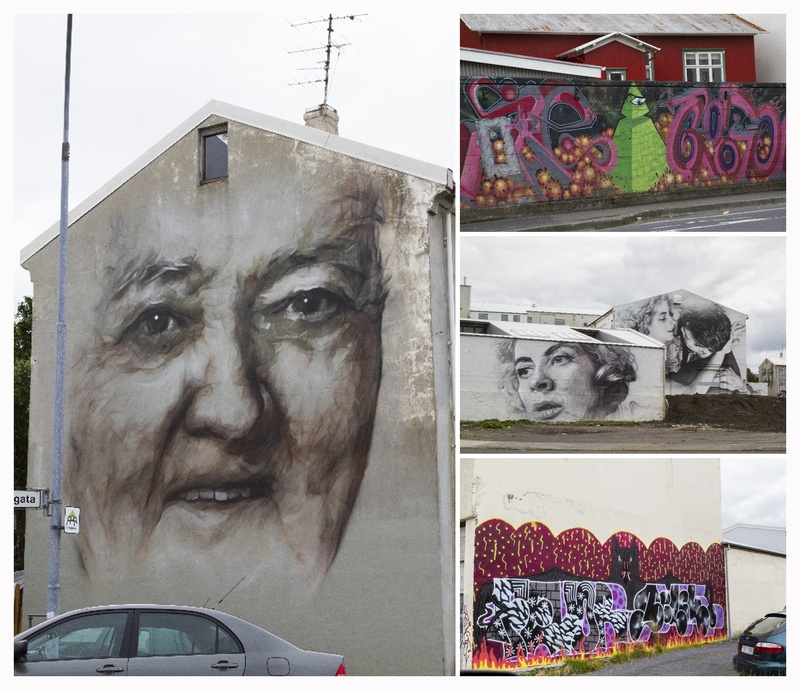 Reykjavík has its fair share of street art, and again, it looks so artistic with famous people’s portraits looming large over the town. 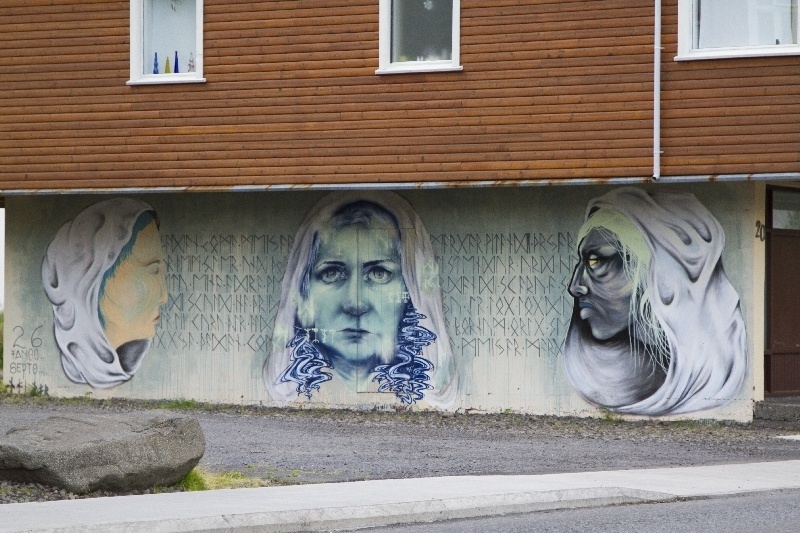 I loved Iceland’s street art. 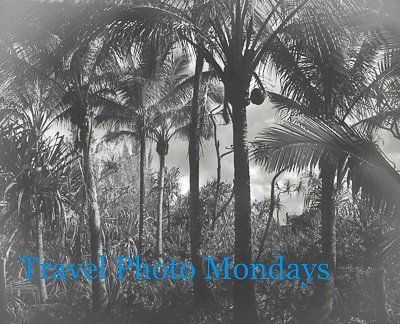 How about you, have you ever been to a place that is just rich in art all over the place? Where? 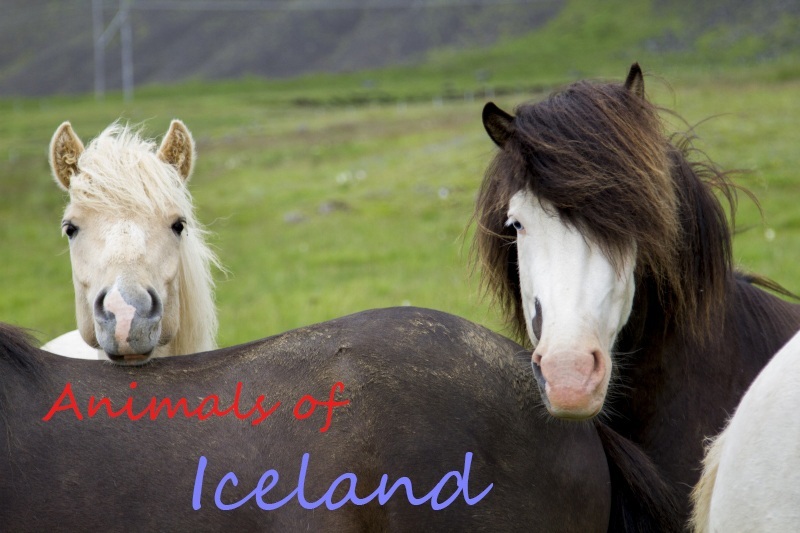 Now that’s a surprising post about Iceland. 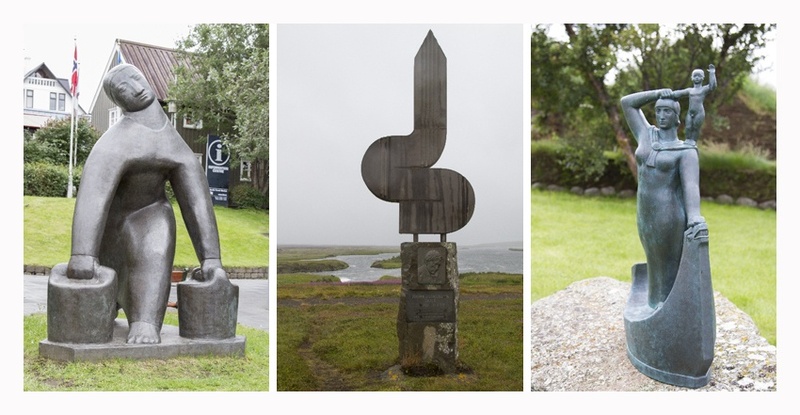 Very interesting to discover this side of Iceland, some of those sculptures are really nice. 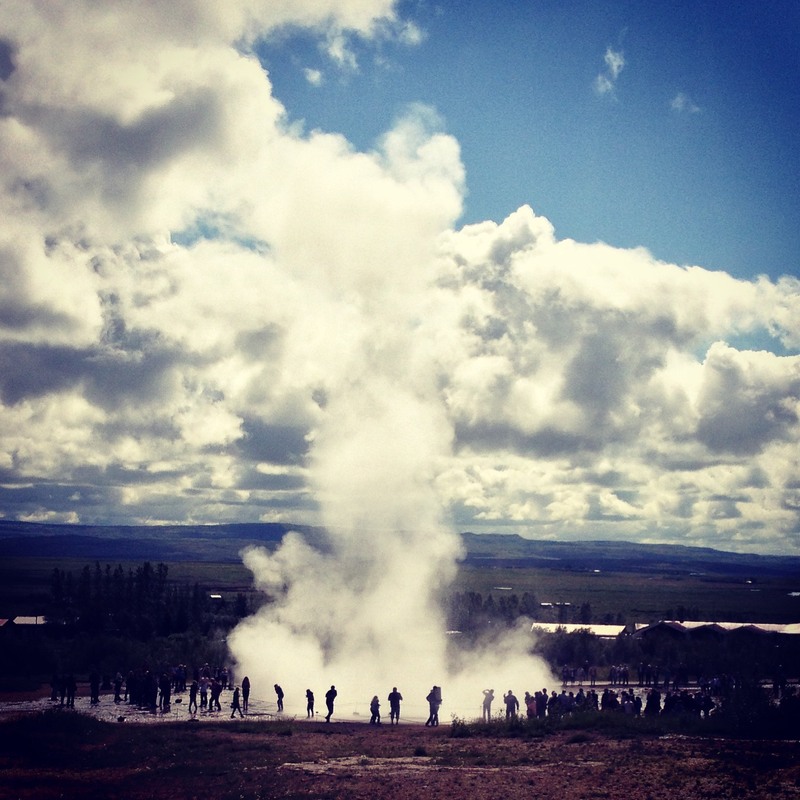 Thanks for bringing the world to our doorstep. 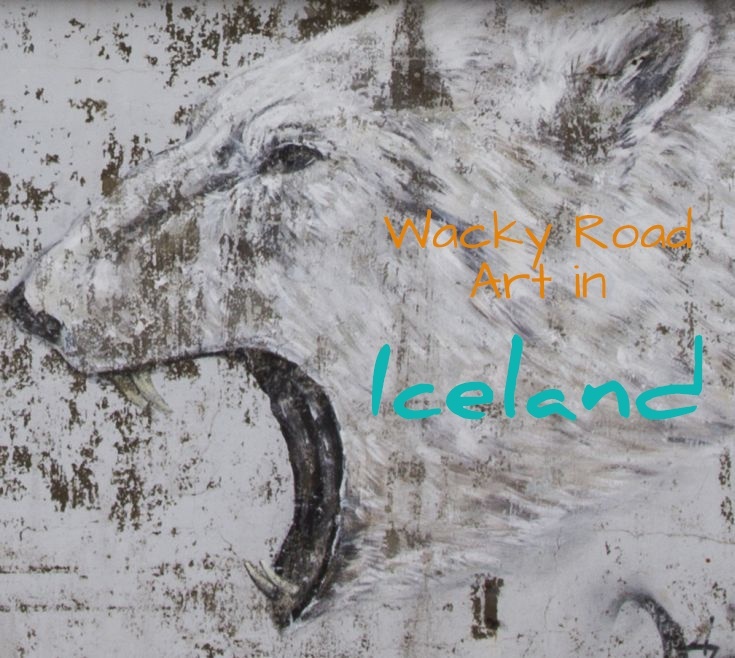 Jameela, I think the street art does make a nice juxtaposition from the majestic scenery of Iceland! 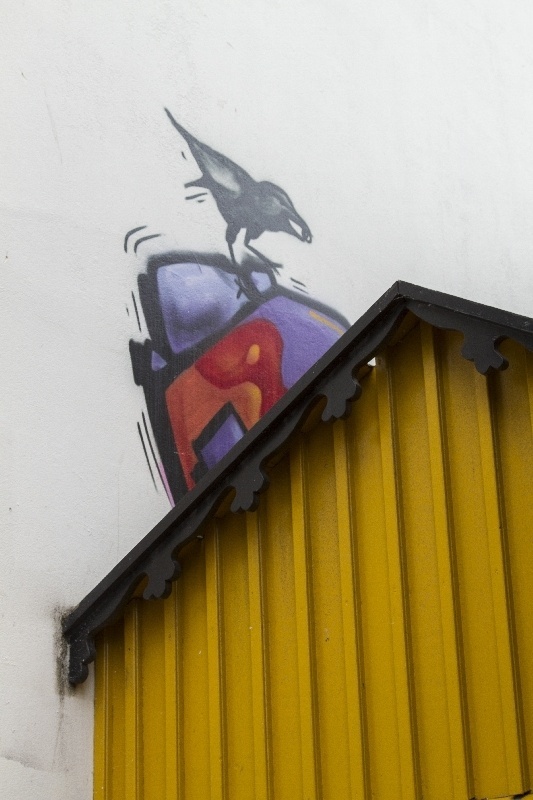 I think my trip to Reykjavik was the first place where I really noticed street art and liked it and have gotten far more interested in it ever since Iceland – I didn’t see all these interesting sculptures though! Thanks Shikha, we had fun searching out the different sculptures and street art. It’s something we do in every city. 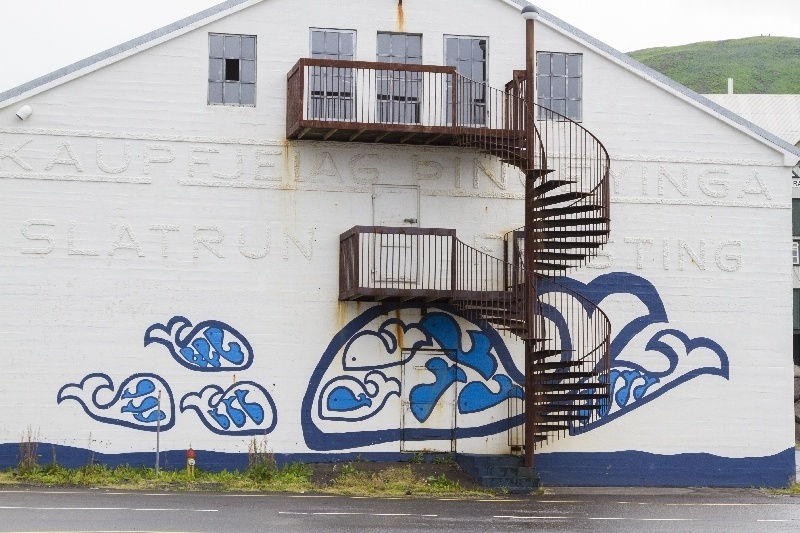 Wow, Corinne, you saw loads of great street art in Iceland! 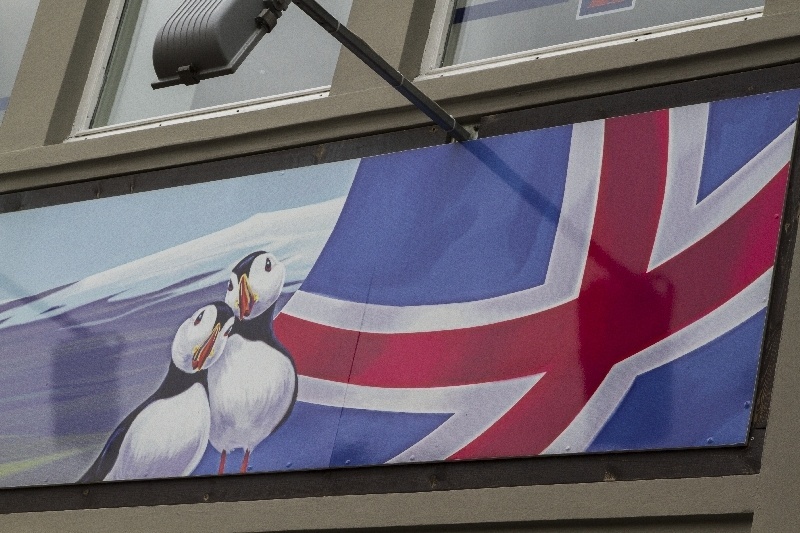 I noticed quite a lot in Reykjavik but none of these (except the puffins with flag). I agree the runes looks scary. Once we started looking we couldn’t stop searching out more and more. 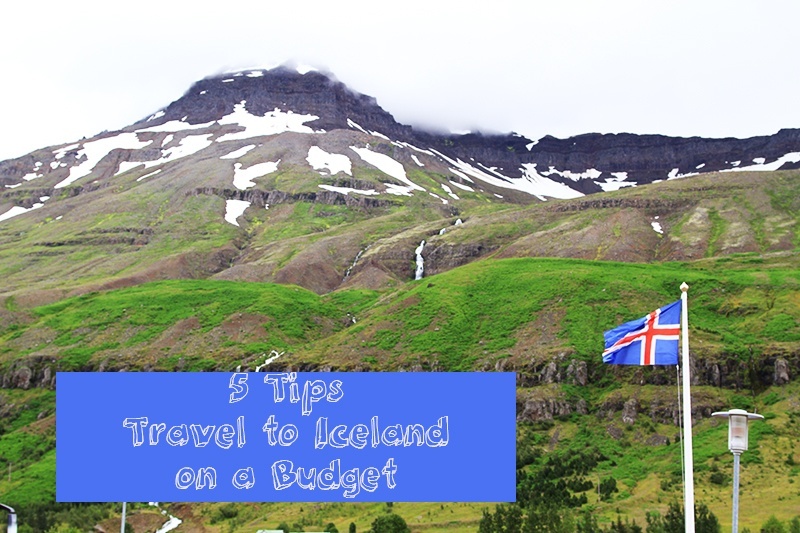 Exploring the side streets of Reykjavik and finding these treasures was captivating. Thanks Phoebe! I love all of these – hard to choose a favourite, but I’ve always had a soft spot for puffins. 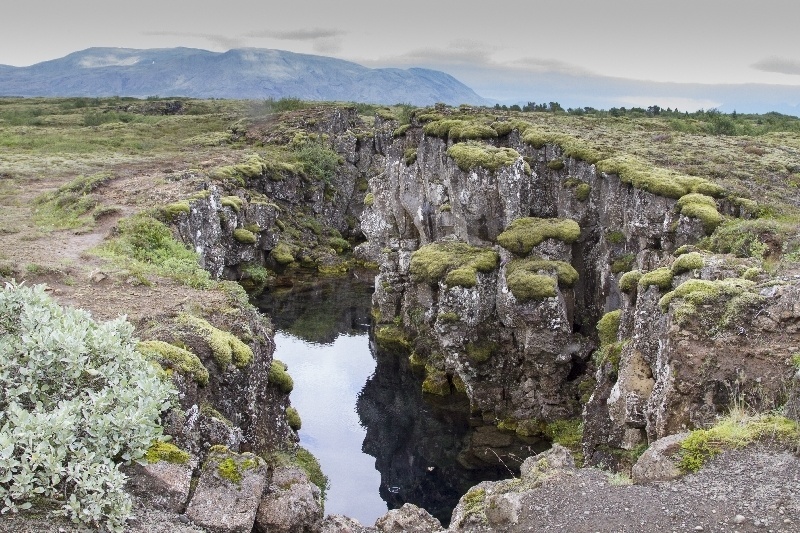 I had no idea Iceland had so much outdoor art. Anabel, that’s something else we share, I love puffins too! Thanks! This is really interesting. The road art is so elaborate, beautiful and wild. 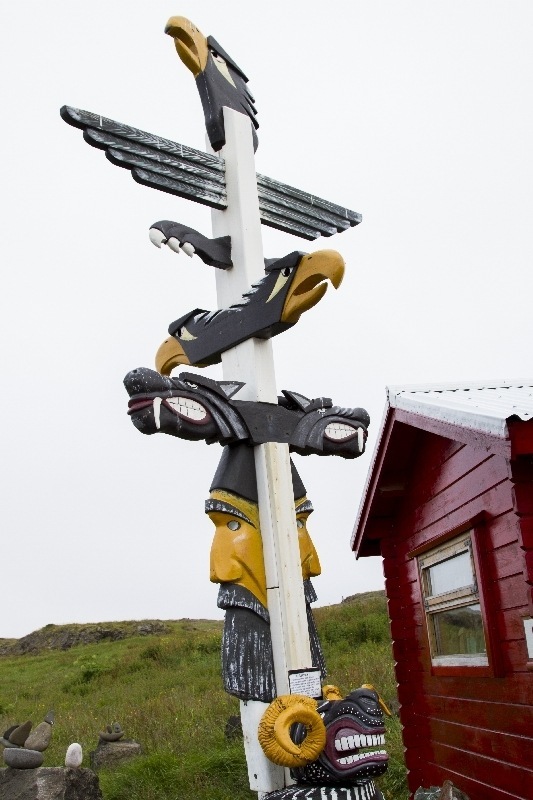 Rachel, I was so surprised by the roadside art, I think the art was a lot like the landscape- beautiful and wild! Thanks! 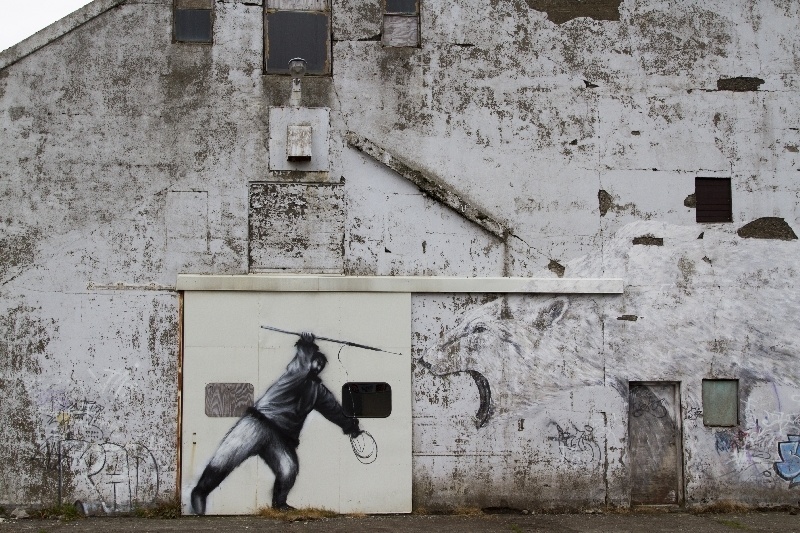 Fantastic street art, although the graffiti just doesn’t fit with the image of Iceland in my head. Rhonda, I know what you mean. I really liked it, though. Becky, I know exactly what you mean!